The POODLE against SSL 3.0. A new attack on SSL is threatening the Internet again, it allows bad actors to decrypt traffic over secure channels. Another critical flaw affects one of the protocols most used to secure Internet traffic, Secure Sockets Layer (SSL) and attacker could exploit the attack dubbed POODLE (Padding Oracle On Downgraded Legacy Encryption) to run a man-in-the-middle. POODLE attack has been disclosed by the same team of researcher that made public BEAST (2011) and CRIME (2012) attack, the attack could be exploited by bad actor to eavesdrop the victim’s traffic over a secure channel implementing a man-in-the-middle tactic. The vulnerability was documented by the Google security experts Bodo Möller, Thai Duong, and Krzysztof Kotowicz. The problem is related to the extended support implemented by the majority of Web servers and Web browsers to the SSL version 3 protocol to secure communication channels despite it has been replaced by the Transport Layer Security (TLS). In the following image some statistics related to Alexa Top 1 Million Domains published on https://zmap.io/sslv3/. Unfortunately SSLv3, unlike TLS 1.0 or newer, doesn’t perform validation of all data related every message sent over a secure channel, this circumstance allow a bad actor to decipher every single byte at time of the encrypted traffic and see it in clear text. “To work with legacy servers, many TLS clients implement a downgrade dance: in a first handshake attempt, offer the highest protocol version supported by the client; if this handshake fails, retry (possibly repeatedly) with earlier protocol versions. Unlike proper protocol version negotiation (if the client offers TLS 1.2, the server may respond with, say, TLS 1.0), this downgrade can also be triggered by network glitches, or by active attackers. 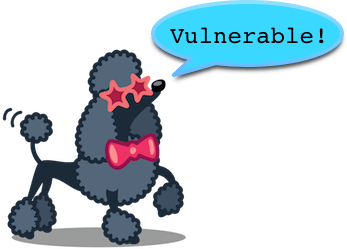 Typical POODLE attacks scenarios see the victim access to a web resource over a protected channel via a bogus Wi-Fi hotspot or a compromised ISP, the attacker then is able to extract data from secure connections. The bogus router will then reorganize the SSL message, copying the portion with the session cookie to the end of the message. In many cases the server is not able to decrypt it, causing connection failure, but occasionally (1 in 256 attempts), the message will decrypt successfully allowing the attacker to decipher a single byte of the session cookie. As explained by the researchers the TLS 1.0, and newer versions, performs more robust validation of the decrypted data, unfortunately there is no fix for the SSLv3 and for this reason there is no way to mitigate it. Consider that software like Internet Explorer 6 on Windows XP make use of SSLv3 and are no more supported exposing users to the POODLE attack. 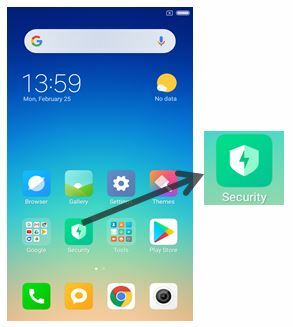 Security experts suggest to disable by default the SSLv3 support at the server, CloudFlare announced that it was implementing this policy for its servers. On client side, users are invited to disable SSLv3 in their browsers. Below the instructions for most popular web browsers published by ArsTechnica.